DARKNESS FALLS IN WITCHBLADE’S 19TH ANNIVERSARY! In another life Jackie Estacado was Sara Pezzini’s lover and the father of her child. Now he has used the power of the Darkness to endanger the whole of human existence and only the Witchblade can stop him. 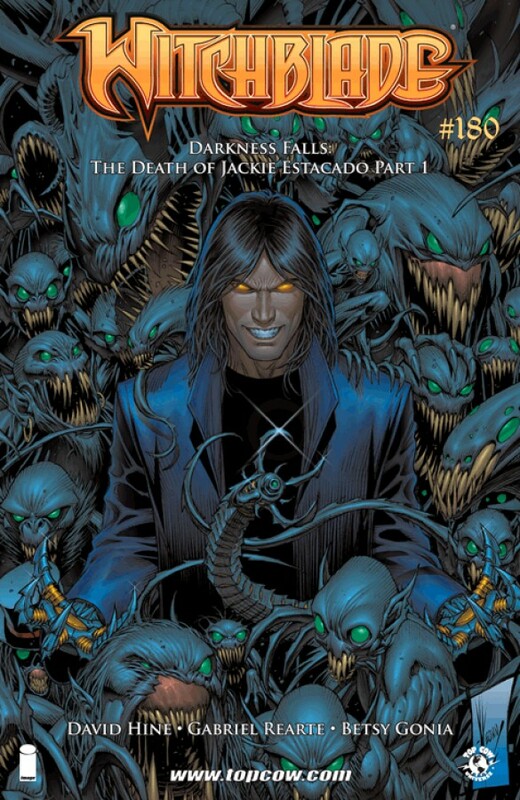 Here at last is the untold story...the Death Of Jackie Estacado!